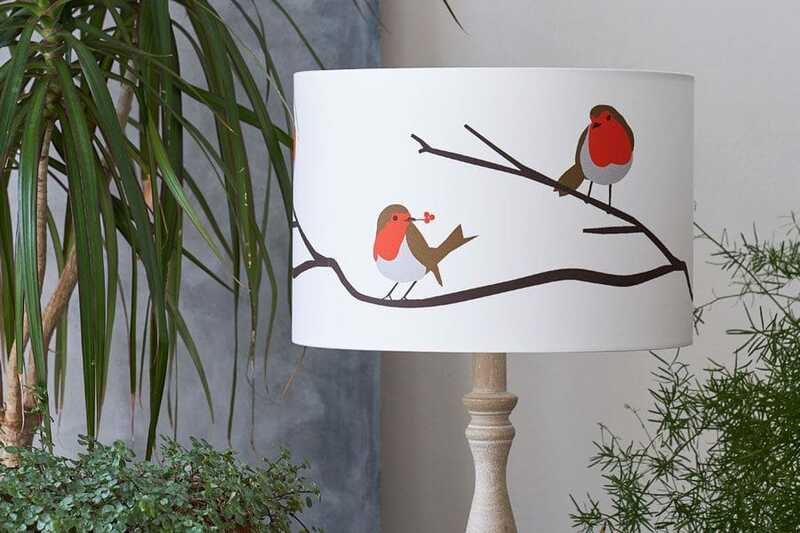 British Robin lampshade in modern design with red breast birds adds an element of scandinavian feel to any room. 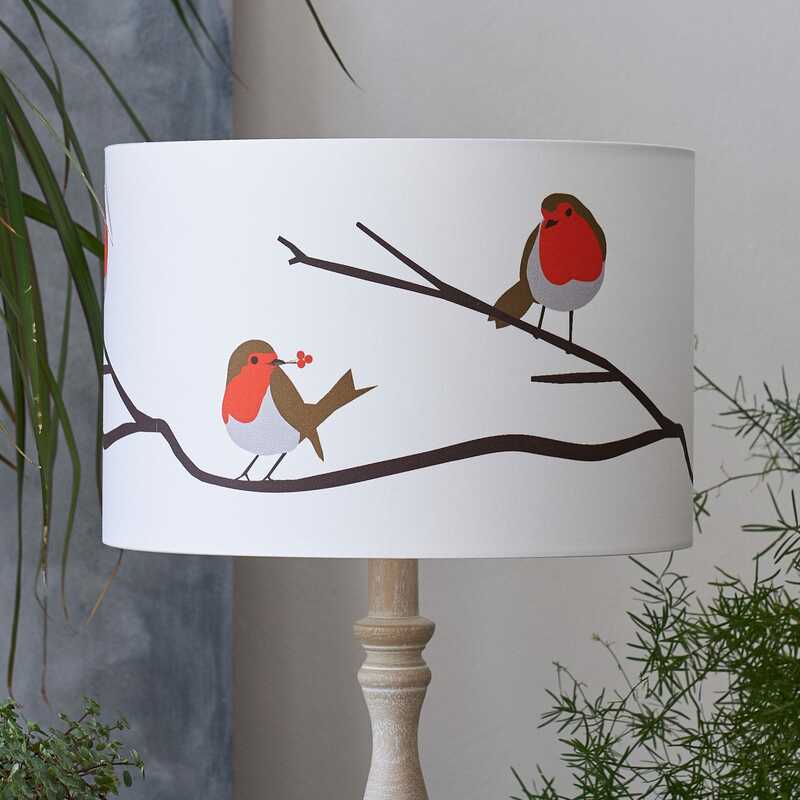 Elegant enough for bedrooms, living rooms and feature walls but also cute enough for nursery. Our medium and large hand rolled lampshades have a reversible hinge so they can be hung from the ceiling or used on a lamp. 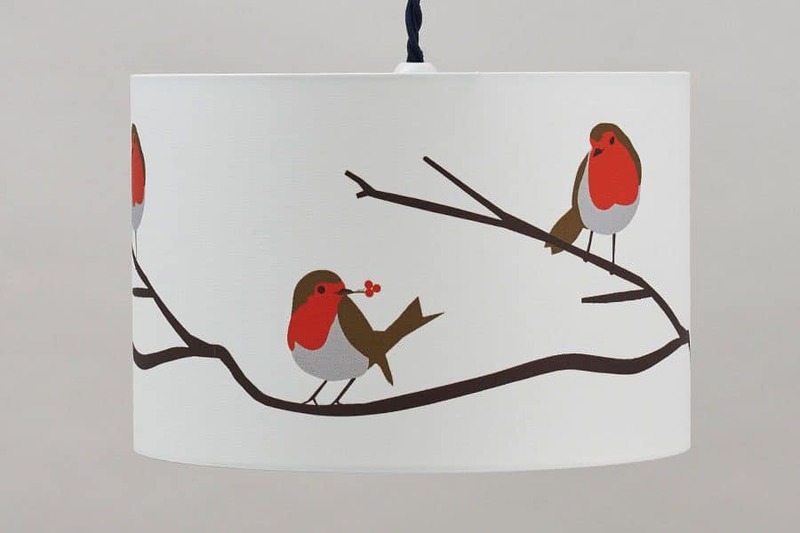 This bird lampshade in greys, reds and browns, is made from 100% cotton and digitally printed in the UK.